Whether your bicycling holiday is car based, or a great journey over many weeks or months. You will like this Washington Bicycling Retreat package! We designed it to be a respite from the endless miles. Or it can just be a nice way to end the day cycling Olympia and Thurston County’s great trails. If you turn up with bikes on your car or on a bike we will knock off 20% off our regular room rates for any two night or longer stay. We will also take off 30% on any spa service, so you can get massaged and relaxed for your stay with us. We can also provide you with an absolutely amazing bicycling map for all of Thurston County. Note our location is less than a mile from the Woodland Trail, which is a connector to the Chehalis Trail. 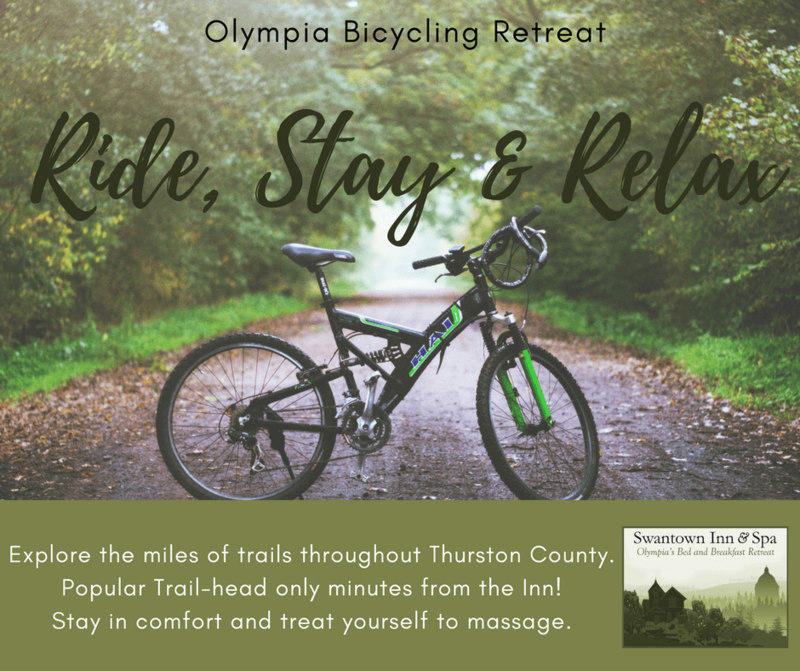 Our Olympia location is central to many trails and major bike routes, making us the perfect base for a couple of days. 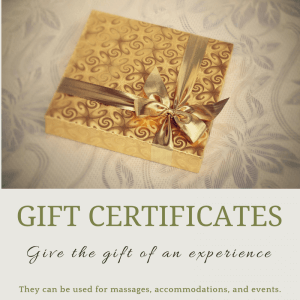 this package includes at least two nights in any of our rooms, and offers you massages that will help relieve tired muscles from a day (or maybe a week, month or more) of riding. The package is flexible so you can tailor a shorter or longer stop, depending on your needs. With the multitude of Olympia Bike Shops, there is a plethora of options for repairs, gear purchases and the like. We also have great food co-ops, farmers markets and food retailers for stocking up on your supplies. 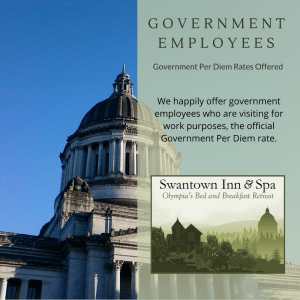 If you have been on the road for a long time, Olympia is a great place to stop and treat yourself to some amazing local restaurants, pubs, diners and food trucks. Just kick back and relax for a couple of days. Get your energy back for that ride down to Portland, up to Seattle, or around the Olympic Peninsula. We can also recommend other stops on your journey if you have not already planned for them. Note: This Washington Bicycling Retreat promotional package is inspired by Washington Bikes. So if you got to this page from them, thanks for considering us!